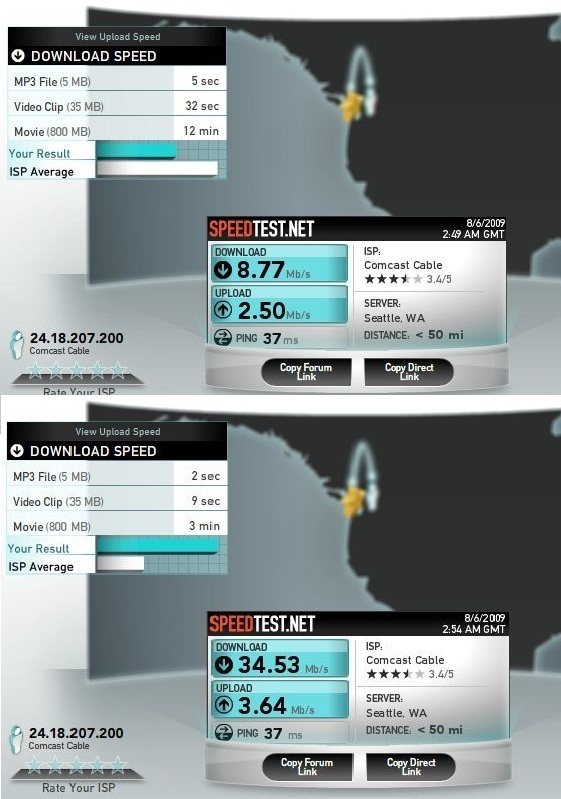 Some time ago I purchased a "performance boost" from Comcast, but I found strange that I never saw any real performance improvement beyond 6-8 Mbs. Until a Eureka moment today that left me rather embarrassed: The "Internet" port on my firewall/router was only a 10 Mbs. Replacing it with a slightly more modern router with a 100Mbs / 1Gbs Internet port did the trick. It now happily blasts past 35 Mbs, making downloading HD content from Amazon Video really fast. Below is the before and after evidence of the crime. For punishment for this stupidity I'll put Madness on repeat for the rest of the evening.